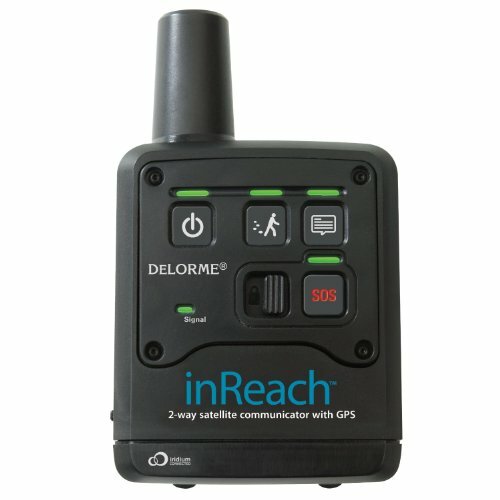 The DeLorme inReach is an award-winning solution to the limitations of cell phone coverage, and the shortcomings of one-way satellite messengers and beacons. Use inReach by itself for 2-way personal and SOS communication with message delivery confirmation, and remote Follow-me/Find-me tracking and location, anywhere in the world. For enhanced 2-way send-and-receive text messaging, inReach can be paired with an iPhone®, iPad®, iPod touch® (iOS devices) and with Android phones and tablets. Because inReach uses the Iridium satellite network, it provides 100% global coverage, with no gaps or fringe coverage areas that limit one-way satellite messengers. inReach is buoyant, waterproof to 3 meters, and impact-resistant to military standards. It fits in the palm of your hand and weighs just 8 oz. including batteries.